The following article was originally posted on ManningLive.com about Representative Rita Allison’s work on the House Education and Public Works Committee. Read the original article here. The group met at Francis Marion University in Florence. The inaugural meeting of ERSAC was held in March after Allison formed the ERSAC with the purpose of gaining students’ perspectives as the House of Representatives continues to reform public education. Reps. Jay Jordan, R-Florence, and Roger Kirby, D-Florence, were also in attendance at the Sept. 16 meeting. The meetings are just one component of the General Assembly’s work in the past couple of years to comply with a state Supreme Court ruling that the state failed in its duty to provide what it says is a “minimally adequate” education to children in the state’s poorest school districts.The 3-2 ruling in Abbeville County School District v. State of South Carolina reverberated in 2014 across the political landscape and promised to provoke renewed legislative arguments over the state’s controversial education funding formulas and the financial plight of poor, rural districts, whose superintendents joined together years ago to seek more equitable funding. The 3-2 ruling in Abbeville County School District v. State of South Carolina reverberated in 2014 across the political landscape and promised to provoke renewed legislative arguments over the state’s controversial education funding formulas and the financial plight of poor, rural districts, whose superintendents joined together years ago to seek more equitable funding. The ruling comes after 21 years of contentious courtroom battles and legislative debate over the state’s responsibility to educate those who live in what became known, thanks to a documentary, as South Carolina’s “Corridor of Shame.” Some of those court battles happened in Clarendon County. The ruling comes after 21 years of contentious courtroom battles and legislative debate over the state’s responsibility to educate those who live in what became known, thanks to a documentary, as South Carolina’s “Corridor of Shame.” Some of those court battles happened in Clarendon County.“It’s been a hard pull and it shouldn’t be that way,” said Dillon 4 superintendent D. Ray Rogers, one of the last working superintendents in an original group of 40 school chiefs who raised the equity issue in the 1980s and 1990s, while speaking with The State newspaper. “It’s been a hard pull and it shouldn’t be that way,” said Dillon 4 superintendent D. Ray Rogers, one of the last working superintendents in an original group of 40 school chiefs who raised the equity issue in the 1980s and 1990s, while speaking with The State newspaper.“A kid that is born in Dillon, South Carolina – he or she shouldn’t have less of an education than someone born in a more affluent district,” Rogers said. “A kid that is born in Dillon, South Carolina – he or she shouldn’t have less of an education than someone born in a more affluent district,” Rogers said.The fact that a generation of school children has passed through public schoolhouse doors since 1993 — when 39 school districts filed an initial lawsuit in Lee County seeking equity in education funding — was not lost on the high court. The fact that a generation of school children has passed through public schoolhouse doors since 1993 — when 39 school districts filed an initial lawsuit in Lee County seeking equity in education funding — was not lost on the high court.“Thousands of South Carolina’s schoolchildren – the quintessential future of our state – have been denied this opportunity, due to no more than historical accident,” said Chief Justice Jean Toal, writing for the majority, which included justices Donald Beatty and Kaye Hearn. “Thousands of South Carolina’s schoolchildren – the quintessential future of our state – have been denied this opportunity, due to no more than historical accident,” said Chief Justice Jean Toal, writing for the majority, which included justices Donald Beatty and Kaye Hearn.“The South Carolina House of Representatives is committed to reform our state’s education delivery system so that every child can receive the best possible education in every part of our state,” said Allison in a release. “Last session, the House passed seven pieces of reform legislation – four of which that became law – and budgeted millions of additional dollars in revenue o assist struggling, rural school districts. Part of accomplishing that goal, she noted, is getting input from the very students affected by the Supreme Court’s ruling and the House’s work. Allison said that school district superintendents are responsible for selecting one students from the ninth through 12th grade level. Students meet with Allison and other State House representatives four quarterly “to give young people the opportunity to share their thoughts and concerns with elected officials,” Allison said. South Carolina Speaker of the House Jay Lucas said Thursday that the state has made “significant progress in recent years to reform our education delivery system,” but that more work is still needed. Allison said she has been quite pleased with students’ work on the committee. 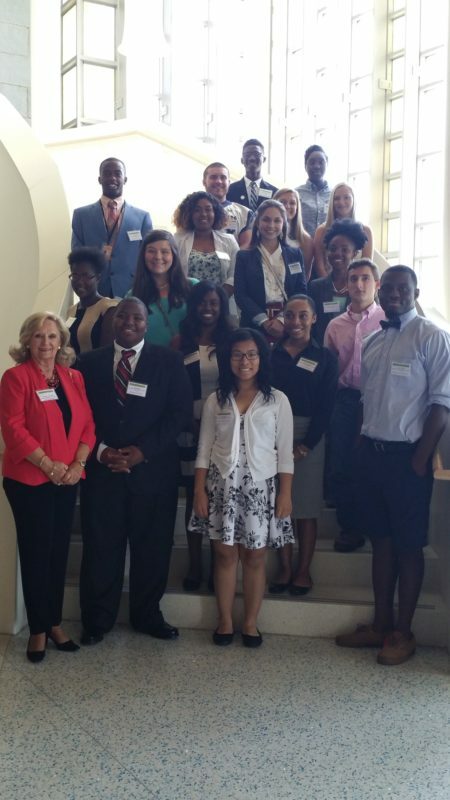 “The participants of this Student Advisory Council meeting were engaged and forthcoming, providing great insight to help lawmakers continue to improve education in South Carolina,” she said.